If you know me you know that I’m obsessed with lavender. I love the flowers, the scent, I even love it in my food. So when given the opportunity I try every recipe I can that says, “add culinary lavender.” For those of you think lavender makes everything taste like soap? Well, I say this to you: Haters to the left! Go overboard and serve this with lemonade infused with lavender syrup. For this recipe though, you can skip the lavender if you so choose, but a hint of it really gives the lemon poundcake an extra something. 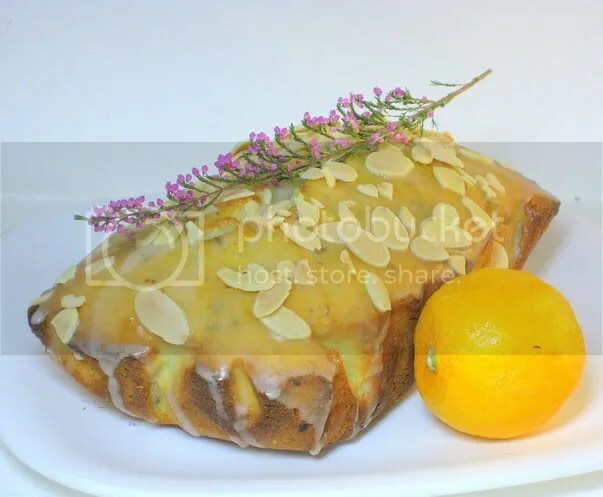 It’s lemon and dense and moist and sweet, a nice summer treat to be served with coffee or tea, or a big cold glass of lemonade. While walking across the street to my car I saw a empty, discarded box of Walker’s shortbread cookies. And the craving hit me. Like that. Inspired by garbage! I went home, threw some butter on the counter, and then realizing it was getting pretty late had to throw the butter back into the fridge. Attempt two occurred the next day, this time with buttery success. 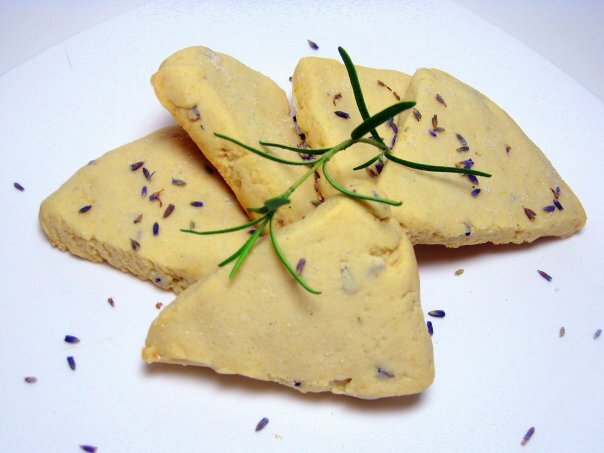 Rosemary and lavender are two of my favorite scents and flavors. Combined in the right balance in a buttery cookie? Oh. My. I’ve tried to grow lavender in the past. Sadly and unsurprisingly, it either never grew, or grown plants would wither away and die. So, next best thing, culinary lavender bought in bulk from the local natural food store. My rosemary is a different story. It’s the one plant that has survived my black thumb, bless it’s fragrant, piney, herby heart. And it always forgives me a little bit of pruning, especially in a good cause such as the incorporation into cookies.